You don’t need to wait for spring or summer to take a vacation. Learn to layer, gear up properly, then hit the road (or train or plane) and visit some truly majestic places that are better once the temperatures start to drop! Whether you are road tripping nearby or jet setting to an exotic locale, you need to pack properly. 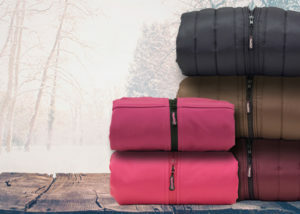 Layering is key for cold weather trips, to deal with moving from cold temperatures outdoors to warm temperatures indoors. Base layers, vests, and fleece are great for layering. Don’t forget – a weekend counts as a getaway. Live somewhere cold? Explore the area around you! A favorite road trip here is visiting National Parks in neighboring states over a weekend. Here are some of our favorite recommendations for cold weather vacations.